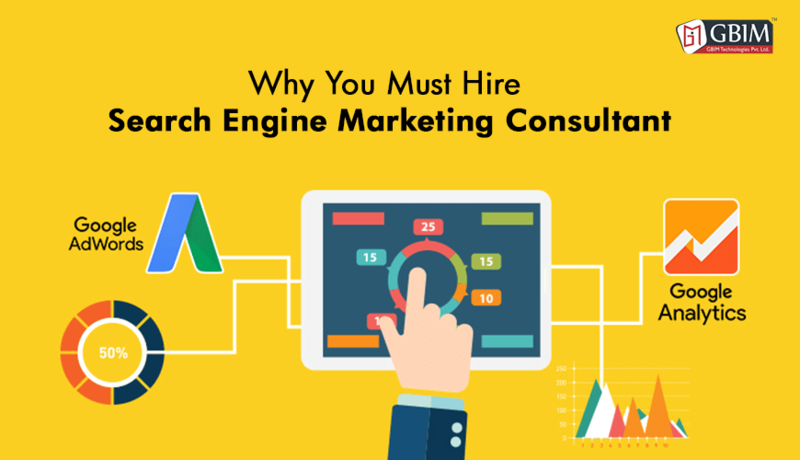 Why You Must Hire Search Engine Marketing Consultant! - GBIM Technologies Pvt. Ltd. If you are wondering whether it is worth it to hire an Google Ads expert, then you will be glad to know the benefits of hiring such a professional. Many companies make the mistake of using Google Ads on their own. In order to benefit the most from Google Ads, you need an expert in this field. The Google Ads has become complex over the last few years and the stakes are high because your competitors also need the same leads you want. In order to get the leads at a price you can afford, you must be sure about what you are doing. Hiring a Google Ads expert is vital because you may not have the inclination or time to understand and embrace Google Ads. The following are good reasons to hire a search engine marketing consultant. If you hire a Google Ads consultant, you can rest assured that your ads will contain the most relevant keywords. It is not easy to perform keyword research. This critical process can only be performed well by an Google Ads consultant who is knowledgeable about the business and integrates this knowledge with the paid online marketing landscape. Experts in Google Ads use several tools to verify the results of a keyword search. Using multiple data ensures accuracy. An Google Ads specialist will create ads, which speak to your target customers. It is not that easy to create PPC ads. Google has a set of strict rules for PPC ads. The strategy for developing these ads also depends on several factors like the customers you want the ads to attract and the devices they will most likely use to view them. Consultants are knowledgeable about the Google Ads platform. They can therefore use their knowledge to ensure that your business is benefiting from Google Ads. Generally, PPC campaigns and Google Ads are complicated. If you lack experience with paid online advertising, it is not sensible to fiddle with PPC campaigns and Google Ads. A single wrong move can severely affect your campaign. It is normal to expect the best results from your campaigns. However, you may not get results on your own because of the competition and the learning curve. Bear in mind that many factors are involved in setting up a proper campaign. As a novice, it is very hard to succeed. Consultants are knowledgeable about the system and will offer you better results. When running any business, considering cost is vital. Saving money is important and one of the biggest fears that business owners have about hiring SEM consultants is that the cost will be prohibitive. However, this is not the case. An SEM specialist can help streamline your company’s campaign and this will actually minimize the cost. You will also avoid wasting money in an improperly set up and ineffective campaign. Hiring an SEM company is more cost effective than hiring an in house employee fulltime. It is important have an active Google Ads campaign and it should change in order to reflect the data from statistics and analytics. When you hire a Google Ads consultant, you will have someone working on your campaign on a regular basis. Bear in mind that if no one is working on your campaigns, you can end up spending a significant amount of money and getting minimal results. When a search engine marketing campaign is run in the right manner, it will enable you to attract new customers regularly. It will bring new inquiries and leads. Therefore, your business will always have new prospects and clients coming through the literal or virtual door. Your business deserves to succeed and you should therefore do anything you can to make sure that it succeeds.